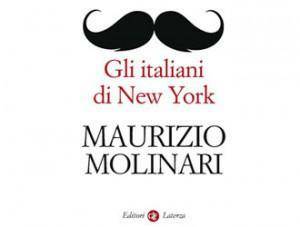 Professors Peter Carravetta, Teresa Fiore, and Paolo Valesio will discuss Maurizio Molinari's recent book, Gli italiani di New York (Laterza, 2011). Comments also by Dist. Prof. Fred Gardaphè, Calandra Institute, Queens College. Moderated by Anthony Julian Tamburri. While the book is in Italian, the discussion will be in English. Sponsored by the John D. Calandra Italian American Institute and the Italian Heritage and Culture Committee.